SATURDAY & SUNDAY – Get your Holiday shopping DONE! SATURDAY & SUNDAY – Free music, every hour, on the hour! Saturday, November 12, 3 – 9 p.m.
Sunday, November 13, 3 – 8 p.m. 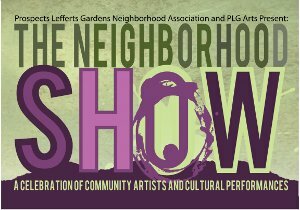 THE NEIGHBORHOOD SHOW is presented by the Prospect Lefferts Gardens Neighborhood Association (PLGNA) and PLG Arts at 552 Flatbush Avenue, between Lincoln Road and Maple Street in Brooklyn (the old Mike’s International Restaurant location). 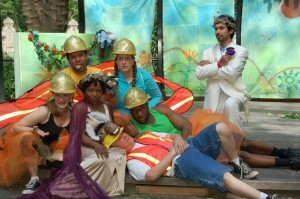 PLG Arts presents DAYDREAM directed by Rohana Elias-Reyes in Prospect Park’s Imagination Playground every weekend in June. All Performances are free, no reservations required, seating on the ground. NYtheatre.com calls the show “can’t miss children’s theatre that Shakespeare lovers will truly appreciate,” this year with more magic, music, and puppets than ever. Bring your kids’ bathing suits for a splash in the dragon fountain. 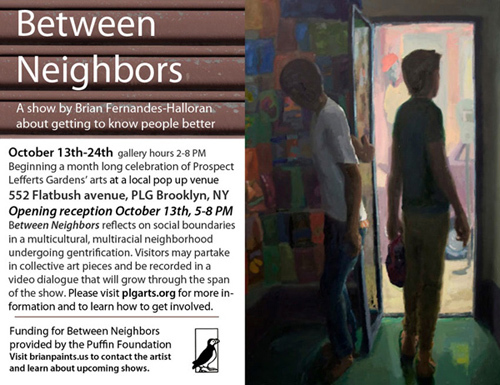 Visit: www.PLGArts.org or call 718-393-7733 for more information. Performances are Saturdays at 11 a.m. & Sundays at 2 p.m.
Saturdays June 11 & June 18 at 3:30 p.m.
DAYDREAM was conceived in 2006 by Laura Frenzer, PLG Arts President and Rohana Elias-Reyes, a PLG Arts founding member, both Prospect Lefferts Gardens parents and theater professionals. In an effort to make better use of the Imagination Playground stage, they decided to put on a show, and settled on a short family-friendly version of Shakespeare’s “A Midsummer Night’s Dream.” Over the years twenty-one actors have performed in the show, all but six of whom have resided in PLG or nearby neighborhoods, and seven PLG residents have lent their talents as designers, builders, and seamstresses. Daydream is made possible by a contribution from the AT&T corporation, public funds from the Decentralization Program of the New York State Council on the Arts, administered in Kings County by the Brooklyn Arts Council, Inc. and ongoing support from State Senator Eric Adams. The Prospect Park Alliance has provided continued support of this production and PLG Arts efforts to bring live performance Prospect Lefferts Gardens and the surrounding Brooklyn communities. 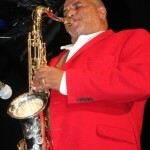 Thanks to Dr. Mambo and his Explosion Experience, their great crowd, and our neighbors who came out to the show on March, 10th. Now mark your calendars for more upcoming shows at the Ink Well Cafe. 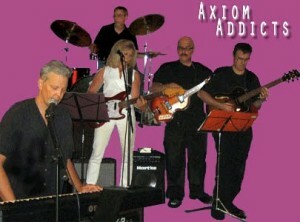 Lefferts Manor and PLG residents, The Axiom Addicts will be playing there on Thursday, March 24th. The Inkwell is located at 408 Rogers Ave between Lefferts Ave. & Sterling St. All shows are Thursday nights. For further information, contact rina@plgarts.org.